Catch exciting, professional basketball action in Waterloo Region! 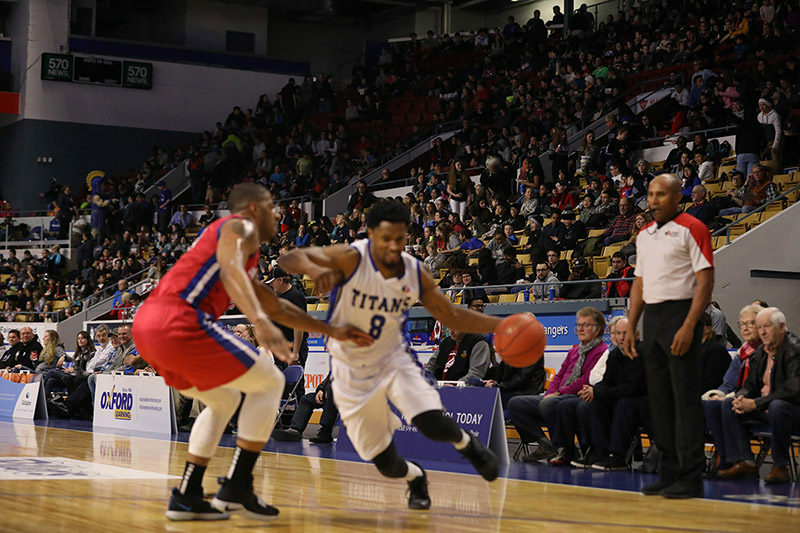 The Kitchener-Waterloo Titans are part of the Central Division of the National Basketball League of Canada (NBLC). The league is dedicated to raising the profile of basketball in Canadian communities by providing an exciting and entertaining on-court product. Each team is mandated to have at least five Canadians on their rosters and is made up of professional players that have graduated from the U Sports and NCAA. 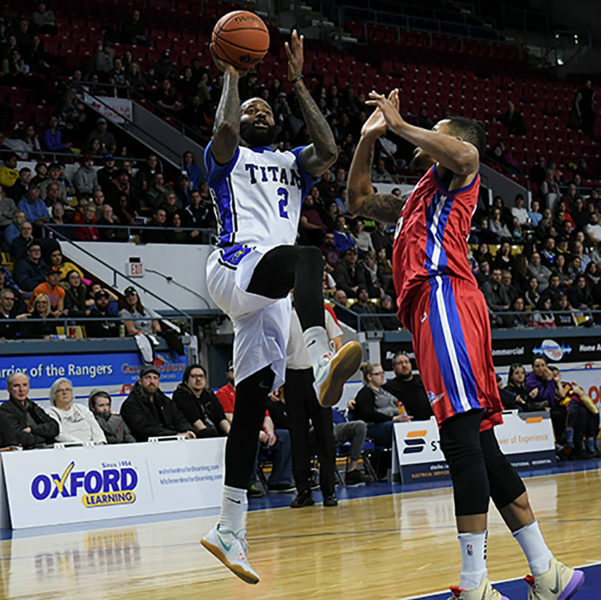 Now in their third season, the Titans call the Kitchener Memorial Auditorium home, and invite fans to join them as they bring their exciting, fast-paced play to the court. There’s high-octane fun on and off the court, as the KW Titans Dance Pack keep fans entertained with their intermission routines. When the KW Titans aren’t on the court, you can often find them in the community. Their local involvement includes making appearances at local schools and events like the annual School Day Game, as well as fundraising initiatives – such as their annual Toy Drive in support of the Salvation Army and the “Stuff a Hummer” initiative in conjunction with the Food Bank of Waterloo Region. Together with Head Coach Cavell Johnson, the Titans also aim to improve the lives of the region’s youth through the development of, and exposure to, professional basketball. Head Coach @cavell22, @j_strings, and @denzeljay6 had a great practice with the @wcdsb St. Agnes Flames this afternoon! The KW Titans were founded in 2016 by an ownership group comprised of Ball Construction and Leon Martin, a local entrepreneur from Elmira and avid basketball fan. This group was dedicated to bringing professional basketball to the Kitchener-Waterloo region. Join the excitement and cheer on the Titans! For tickets and information, go to their website. Bingemans Gift of Lights is a family-friendly 2 kilometre drive-thru holiday light display that features 2 light tunnels, as well as over 30 static and animated light displays! This unique holiday experience is fun for all ages, including families, couples, groups, corporate events and bus groups.